In this letter Martha Berry thanks Erwin A. Holt for always remembering the dates of the Berry anniversary. She also tells him that she will send a few copies of the Highlander under another cover. 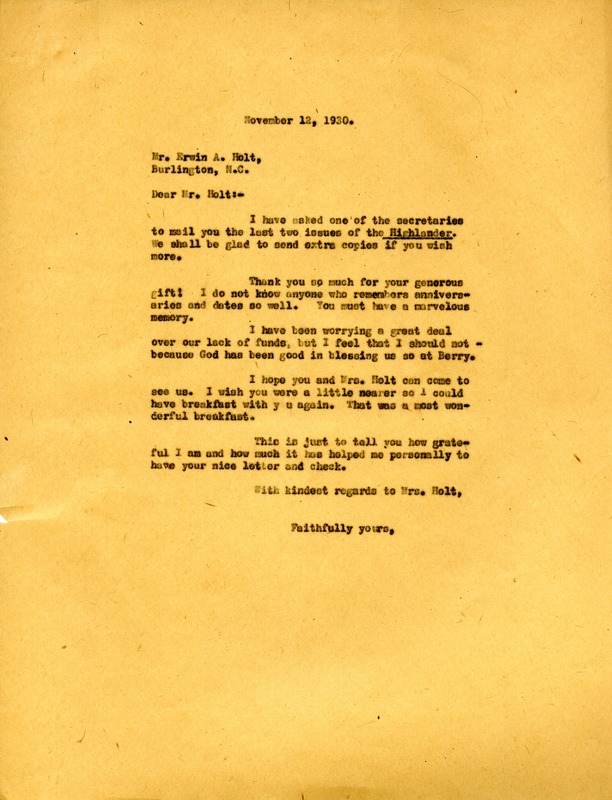 Martha Berry, “Letter to Edwin A. Holt from Martha Berry.” Martha Berry Digital Archive. Eds. Schlitz, Stephanie A., Jordan Brannen, et al. Mount Berry: Berry College, 2013. accessed April 21, 2019, https://mbda.berry.edu/items/show/13314.